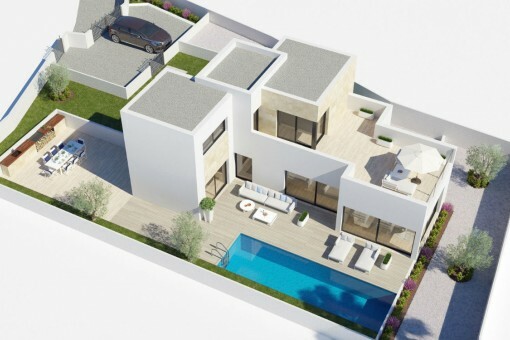 This interesting and modern development project offers a total living area of ​​190 m², 4 bedrooms and 4 bathrooms. The total plot size is 765 m². The luxurious villa covers 2 floors. The ground floor has a bright, inviting entrance area, a spacious living and dining room with an open, modern and fully equipped kitchen (Bosch appliances), 2 bedrooms and 2 bathrooms. 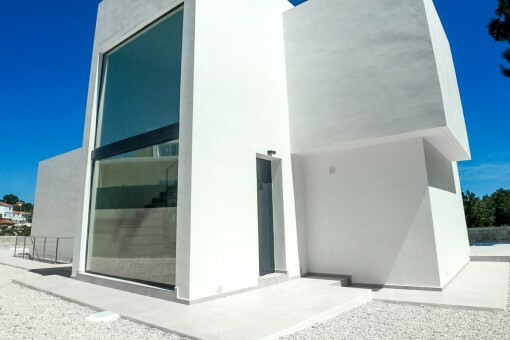 On the second floor there are 2 further bedrooms with bathrooms en suite, one of them with dressing room and private terrace. 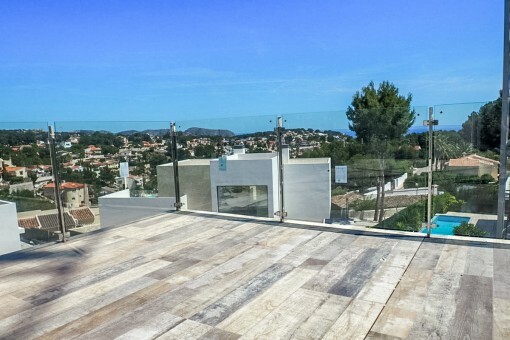 The large terrace (50 m²) boasts an exclusive sea view as well as a private pool (dimensions: 10 x 3 m) including waterfall, salt system and sun shower. 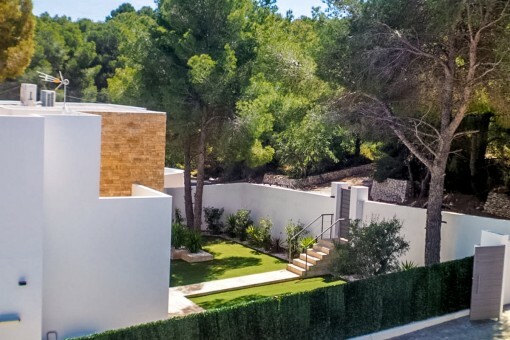 The well-kept garden with artificial turf, gravel, green spaces and a barbecue area is ideal for cozy outdoor evenings. 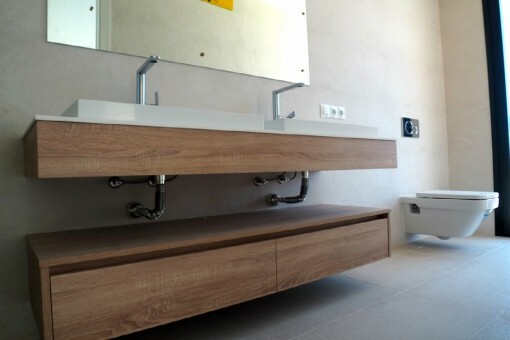 The entire building is equipped with excellent finishes. 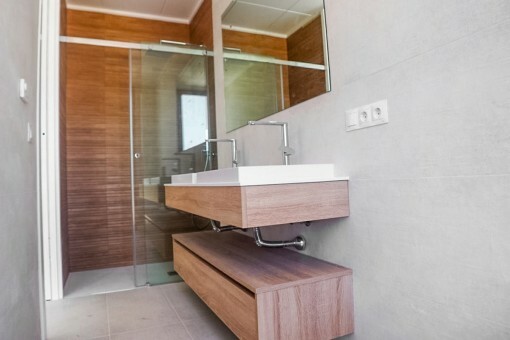 The floors are tiled with large porcelain tiles. 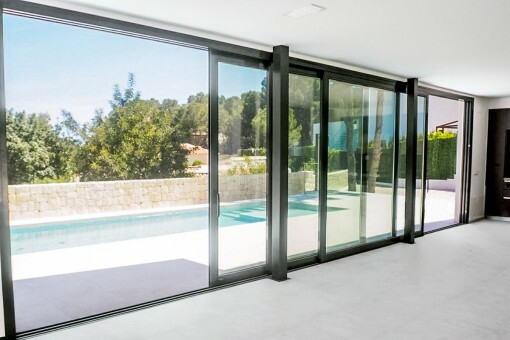 Other features of the villa include: high-quality carpentry, sliding doors, Climalit windows (type aluminum with thermal separation), motorized blinds, underfloor heating, home automation, an alarm system, awnings, a car parking space as well as an air conditioning and heating system. 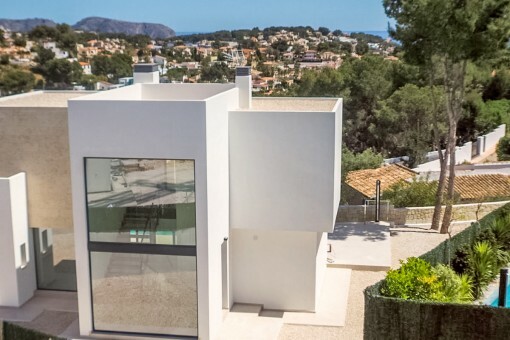 This stunning villa is located in a small urbanization in the area of ​​La Fustera de Benissa, a dreamy little town on the Costa Blanca in the municipality of Valencia. 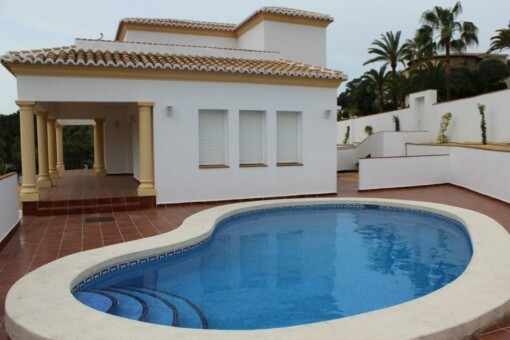 It is just a few minutes walk to the nearest beach and shopping facilities. 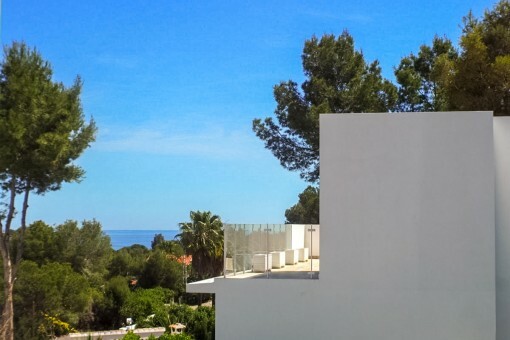 The nearest major city is only 10 minutes away by car and Alicante airport can be reached in less than an hour's drive. Benissa is a small town in the province of Alicante. 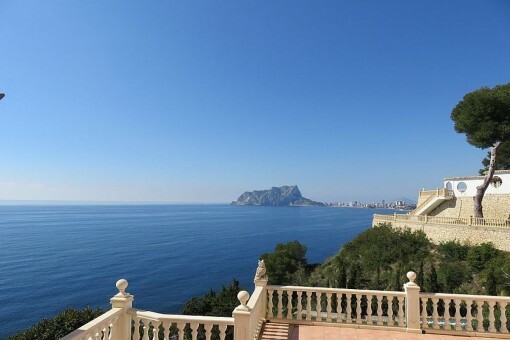 As one of the Costa Blanca's oldest towns and located 275 meters above sea level, the municipality has a coast of 4 km that connects the towns of Moraira and Calp. Beautiful cliffs, sandy beaches and small coves along the coast are most caracteristic for this stunning area of ​​Benissa. 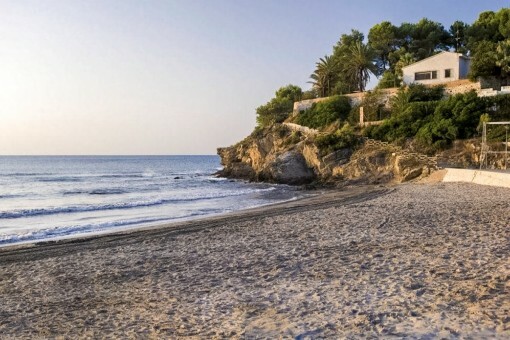 Cala dels Pinets, La Fustera, Cala l'Advocat, Cala de la Llobella, Baladrar and Cap Blanc, located in front of Moraira, are nearby towns and beaches along the Costa Blanca. 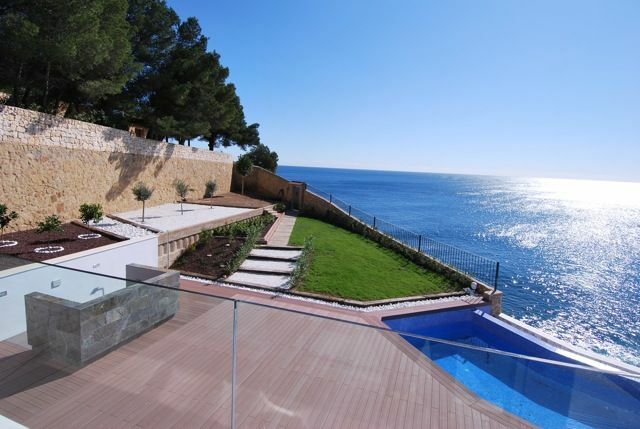 I'm interested in: Luxurious newly built villa with pool and sea views on the Costa Blanca (Objekt-Nr.100135).